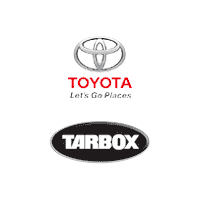 If you are looking for a new Toyota you can turn to Tarbox Toyota. We have a wide variety of new Toyota cars, trucks, vans and SUVs in stock, ready to drive home today. Our inventory boasts the most popular models from the Toyota lineup, such as the stylish and spirited Toyota Corolla and Camry. If you are in need of a truck that works as hard as you do, a new Toyota Tacoma fits the bill. Perhaps a versatile SUV that can handle the changing Rhode Island weather is more your speed. In that case, test-drive a new RAV4 or new RAV4 Hybrid for even more efficient capability. Whichever model you choose, our Toyota dealership near Providence, RI, has the inventory and sales knowledge to find the right vehicle for you.